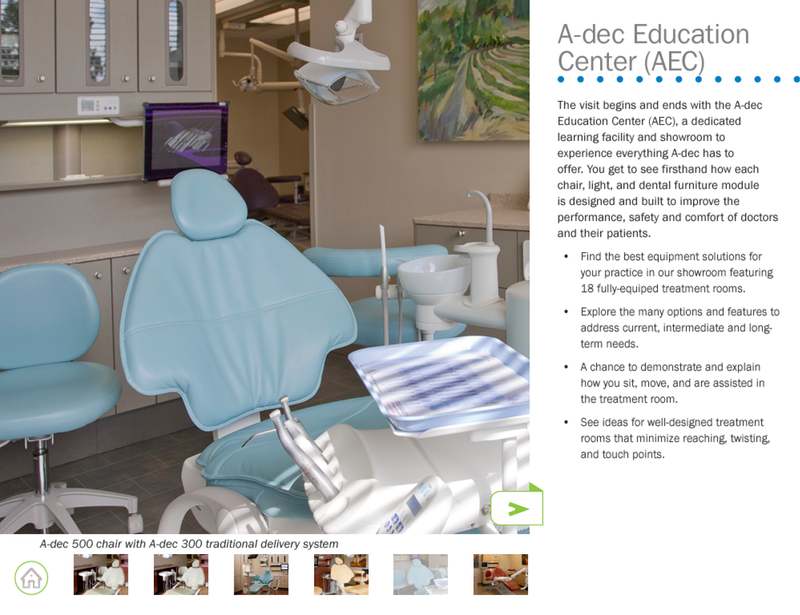 DPCI provided Adobe Digital Publishing Suite consulting services to develop an attractive and interactive application to showcase A-dec’s wide range of dental furniture and equipment solutions. Established in 1964, A-dec maintains a global network of authorized dealers and customers in more than 100 countries. 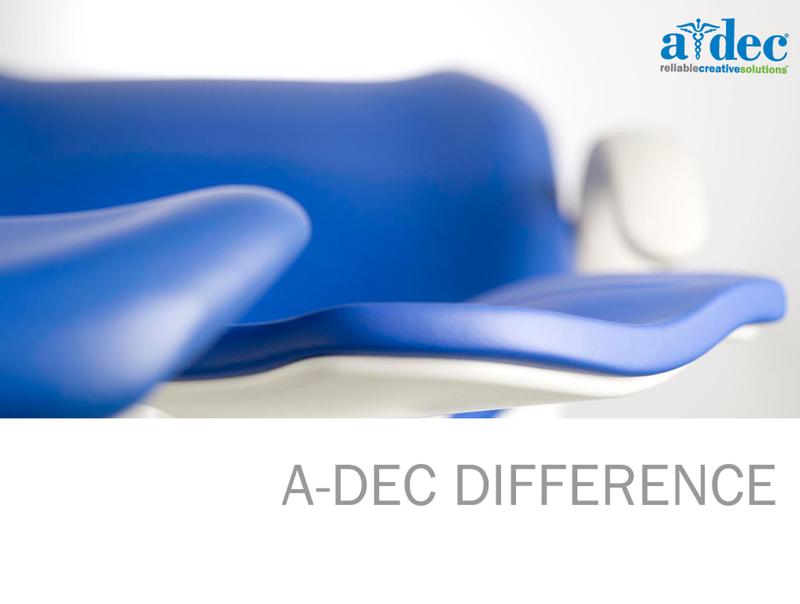 A-dec designs, markets and manufactures dental furniture and equipment solutions including chairs, delivery systems, dental lights, cabinetry, and much more. A-dec sales force began utilizing iPads for marketing and sales presentations. To supplement printed pamphlets and brochures, A-dec sought to provide its customers with an application optimized for mobile and tablet devices to showcase an interactive presentation of its products, suggested office systems and customer testimonials. A-dec management decided to use the Adobe Digital Publishing Suite (DPS) along with Adobe InDesign to allow their creative staff to develop content for the application. A-dec selected DPCI to help optimize and repurpose its content for Apple, Android and Amazon devices. DPCI provided Adobe DPS consulting services to develop an attractive and interactive application to showcase A-dec’s wide range of dental furniture and equipment solutions. Throughout the creation and design process, DPCI also provided A-dec’s content editors with extended technical support and training including validation processes for Apple, Android and Amazon applications, multimedia specification requirements and utilizing the Adobe Digital Publshing Suite Dashboard for publishing folios and building custom viewer apps. The A-dec application, entitled ‘A-dec Dental,’ launched July of 2012. 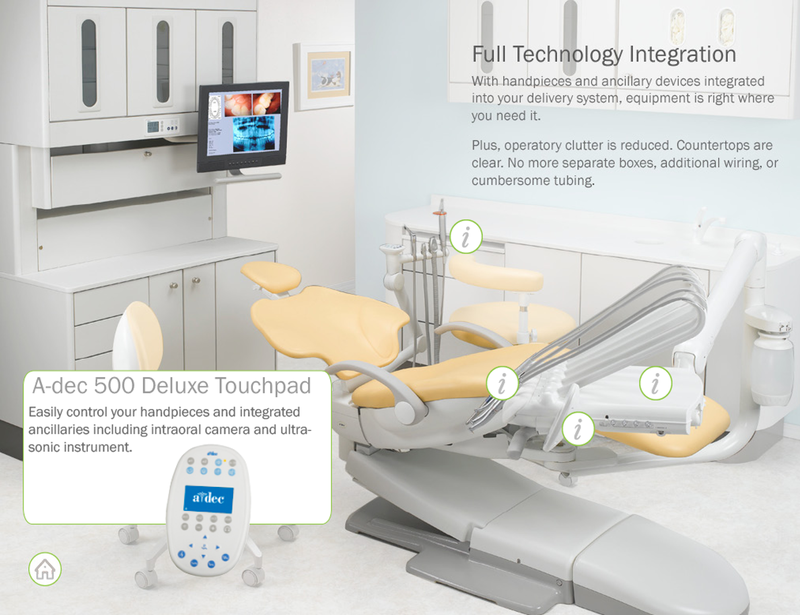 Through the interactive application, A-dec can better demonstrate its leadership in the dental equipment industry. 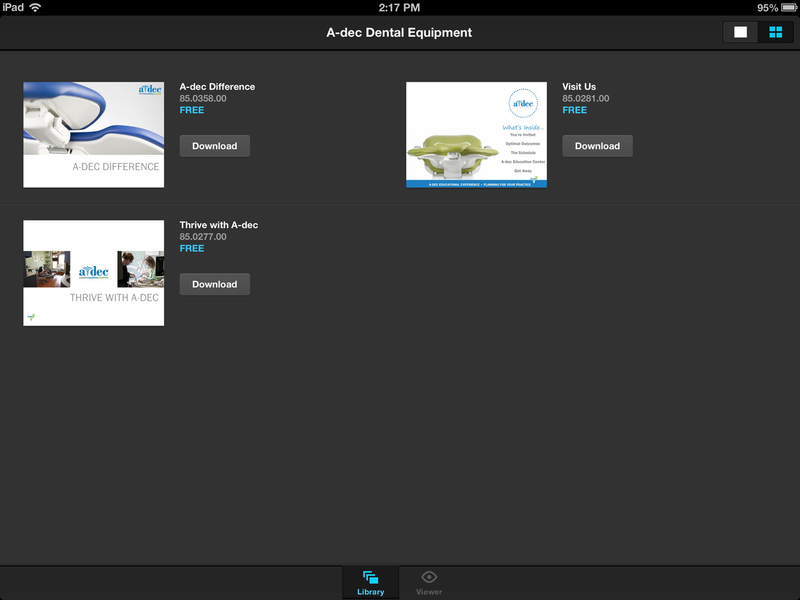 In addition, customers can download and explore A-dec Dental on their personal tablet and mobile devices. 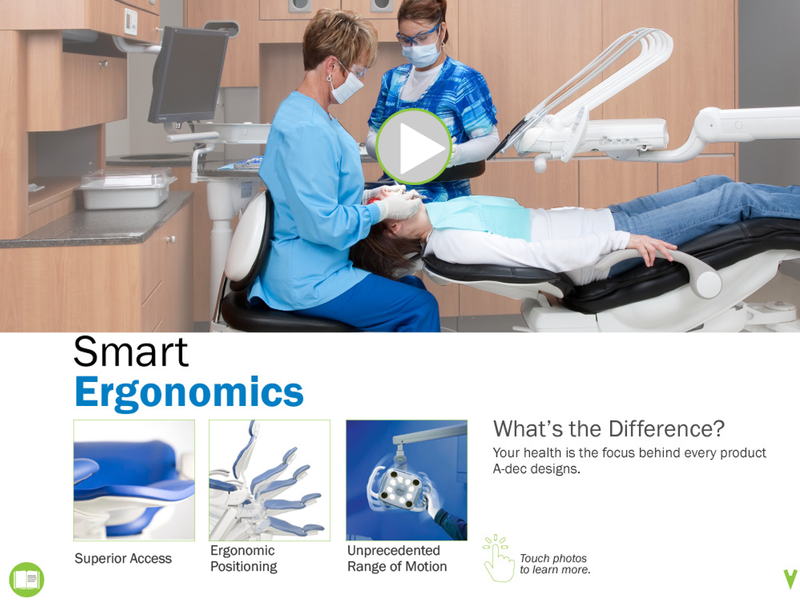 To illustrate A-dec products and office solutions, the A-dec Dental app created with the Adobe Digital Publishing Suite provides video testimonials from previous clients, 360-degree views of dental offices outfitted with A-dec furniture and equipment, and multi-state objects or interactive images that contain hyperlinks, pop-up text boxes and alternate views. "DPCI has been great to work with. The training and service they provide is top-notch. Customer support is amazing, they get back to you quick and get your questions answered. It's been a pleasure working with them!" - Maryanne Stebbins, Publications Designer, A-dec.